Nepal Bhasa, also known as Newari, is a language spoken as a mother tongue by Newars of Kathmandu Valley. It was the language I leant from my grand mother while growing up but after she passed away I didn’t feel like speaking in Newari with anyone as it always reminded me of her. I am not very good at this language as I haven’t had any practice in it for a while. AS wanted to learn this language as he doesn’t know this even though he is a Newar too. So I am making an effort here to put a few Newari language stuff for anyone who is interested in it. Please feel free to correct me if you find anything wrong. I really appreciate corrections and suggestions for this page. 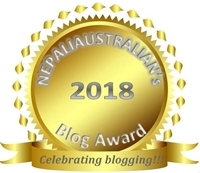 This entry was posted in Learn Nepal Bhasa / Newari, Nepal and tagged Learn basic newari, learn nepal bhasa, learn newari, newar, newari. Bookmark the permalink. Hey there, would you be able to type the words and phrases in either nepali or in newari letters? This is great, I really appreciate your compilations. This language seems tonal to me, almost like I could never learn to speak it because I just don’t know the tones. I tried to teach myself using this website http://nepalbhasa.co.cc/dhuku/ but Shiva tells me that its often incorrect. He’s a fluent Newari speaker and still talks to his family in Newari. Its been a tough road getting him to teach me the tiny fraction of Nepali I know. Teaching Newari is like handing away the key to his self, its like he just can’t do it. I only know a few words. “chia dune duna?” have you had tea? And thats about all the Newari i know, or can remember right now. I know, weird list, I think so too. I have twice said swear words in Newari..on accident. Not sure what because Shiva wouldn’t tell me, only that I should NEVER say those things in a Newar’s presence because they were really really vulgar. Ma nepali basa pardai chhu, mero nepali basa bolnu dherai naramro ho. Nepali language is so difficult for me. My better half he speak nepali and different Rai languages, his personal language is Rai Bantawa language. And what to say, ist so different from Nepali. We have a freind, he is a Shresta and he speak Newar. Nepal have so different cultures and languages too…..OMG. I think you are doing great with Nepali. Derai ramro cha. 🙂 I know Nepal has so many languages , it is impossible to learn them all. really!great endeavour!keep it up ! !make us learn!!! Wow, so different from Nepali. I know that they aren’t necessarily mutually understandable, but I thought there would be a little more cross over. Interesting! Shiva tells me that Nepali is Sanskrit derived and Newari is Tibetan-Burman derived, Newari seems to have more in common with Chinese than Nepali…to me anyway. Thank you………… (sorry I do not know your name). It is really a nice stuffs. After my intermediate level of education, I studied in KU and stayed in Kathmandu for almost 7 years, but it has always been a tough for me to understand and speak newari language. Thanks for sharing it, buddy.